Jonah Williams has a unique blend of strength and agility for his size, which allows him to block the strongest and quickest defensive linemen in the country, like Christian Wilkins and Clelin Ferrell from the Clemson Tigers. Williams is one of the top prospects in the entire draft class and has the potential to be an immediate starter at the NFL level. 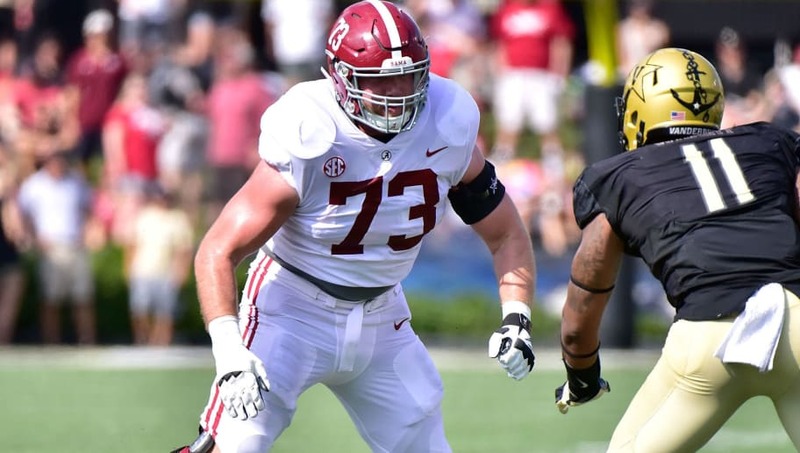 Williams' technique is among the best in the country for offensive tackles, and his three years under Nick Saban should prepare him well for the NFL. Williams played 44 games in his college career, and the three-year starter should immediately slot into the starting offensive line of whatever team drafts him. Williams is one of the most polished offensive linemen and overall prospects in the entire draft. The NFL has established a premium on versatile offensive linemen who can protect franchise quarterbacks with consistency. Several teams are in need of a tackle like Williams, but none more so than the Buccaneers, who could use Williams to buy Jameis Winston some more time in the pocket. The Bills could also plug in Williams to protect Josh Allen as he enters his second season in the NFL.